Recently Victor Tam posted an amazing custom on the Loyal Subjects FB Group and he agreed to let me mirror it here. The custom was made using the body of a TLS Kiara from their TMNT line and a Kimberly (pink ranger) head from their MMPR line. and of course you should join The Loyal Subjects Official FB Group HERE. you may also be interested in the Digi Bash Drew Gaska did for us of Sightline, click here to see it! 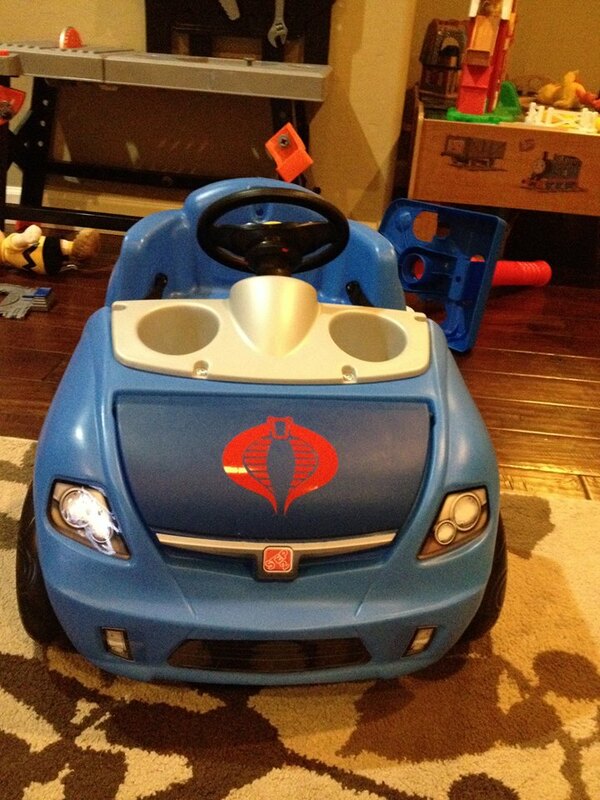 Cobra branded Toddler cars: Unique “customs” by Dan Klingensmith Jr.
What a lucky kid! 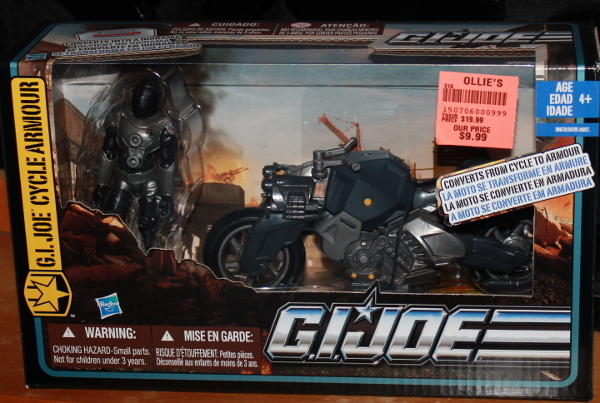 After you check these out, give his facebook page a like so you can learn more about the creation of G.I.Joe. Our Friends over at Serpentor’s Lair have announced their 3rd Annual winter dio contest. 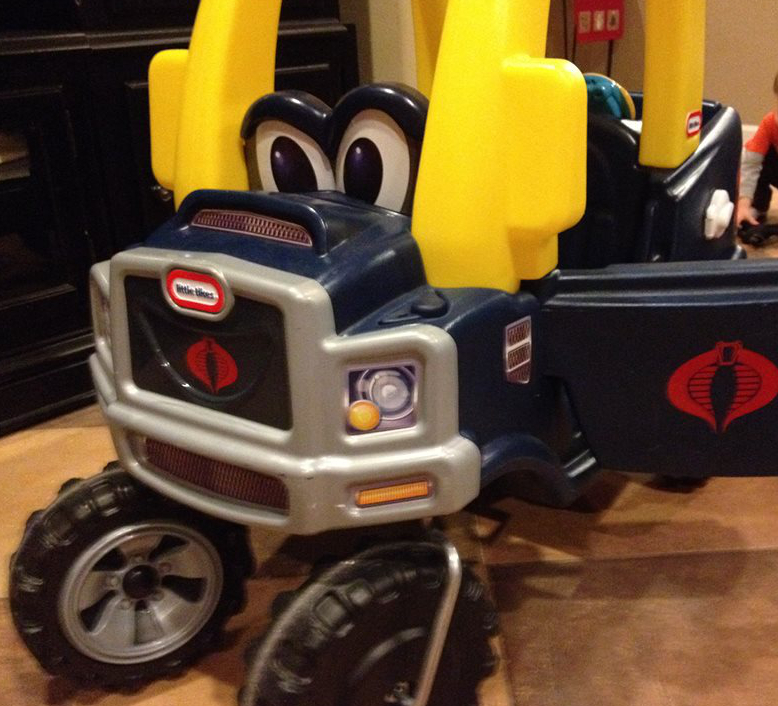 THE SERPENTOR’S LAIR 3ND ANNUAL WINTER DIO CONTEST! YOU CAN WIN FANTASTIC PRIZES !!!! FOR THIS DIO CONTEST THE REQUIREMENTS ARE AS FOLLOWS: MAKE A DIO THAT DEMONSTRATES THE WINTER SEASON YOU CAN USE FIGURES FROM ANY TOY LINE. THIS COULD BE SNOW, ICE , OR ANYTHING THAT LETS US KNOW THAT THE DIO IS TAKING PLACE IN WINTER. IT IS THAT SIMPLE. THE DIO DOES “NOT” HAVE TO INCLUDE TEXT, BUT YOU ARE MORE THAN WELCOME TO HAVE TEXT. THE CONTEST WILL RUN FROM TODAY NOVEMBER 18TH THROUGH MIDNIGHT EST ON JANUARY 31ST. THE CONTEST WILL BE JUDGED BY THE 6 SERPENTORSLAIR ADMINISTRATORS AND NON PARTICIPATING STAFF MEMBERS. 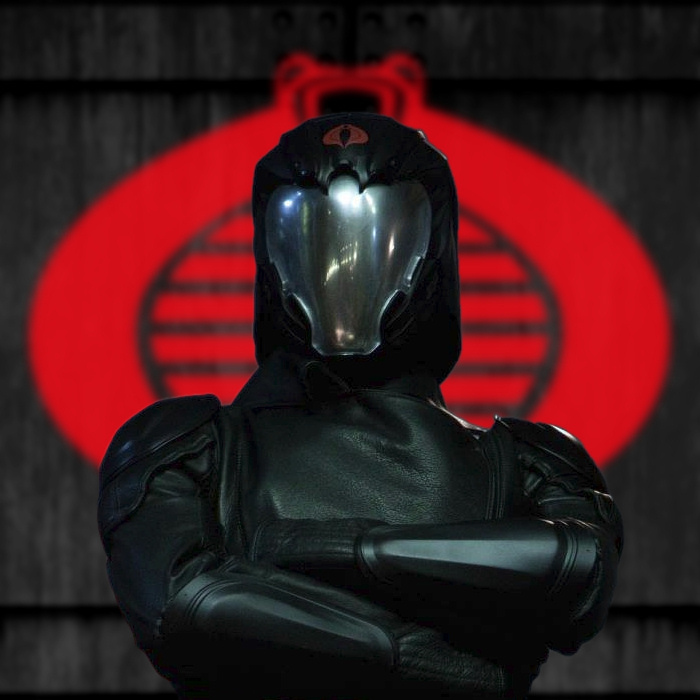 FIRST PRIZE FOR BEST “G.I.JOE DIO” WILL BE A G.I.JOE ROC NIGHT RAVEN, MARVEL HEIMDALL FIGURE AND TRANSFORMERS GENERATIONS WINDCHARGER, AS WELL AS A ONE OF A KIND CUSTOM “ARCTIC COBRA TROOPER” OF YOUR CHOICE EITHER O-RING STYLE OR ME STYLE PRODUCED BY SERPENTORSLAIR STAFF CUSTOMIZER PROTOXERO. Hard to find, and often sought after. I was lucky to get it at that price, but you can get it for a picture of a custom ! This black trooper is the hardest to find in the set. this is the only one i have ever seen in the wild. The New Deadline: April 15th. Yes that’s after Joecon, and possibly more importantly, that’s after the custom class you can find out about here. This way if your going to con you have an extra chance to work on your custom, possibly with the help form experts. 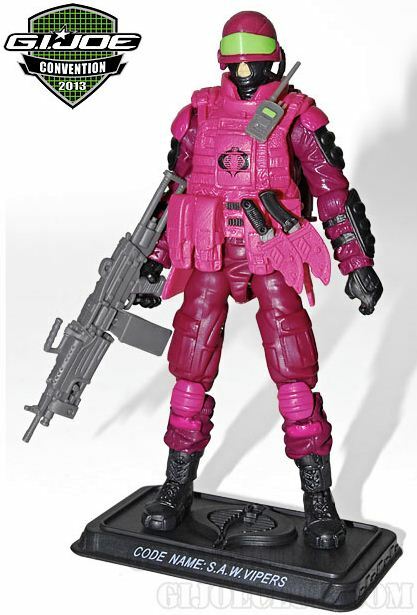 Yes someone going to Con would already have the chance to own a couple of Saw-vipers, but it’s an army builder right! and it will be worth $, not to mention it’s not the only prize that can be chosen from. Being after con also allows me to get the saw-viper to the winner quickly, and if you hurry, will also allow a customizer more inspiration from seeing the Retaliation movie! 1st place will choose his prize, then 2nd place, and the third man will get the left overs. as always you can join the discussion on the forums.